Internet connection is can be necessarily for our life. I think the most people in the world will go for internet everyday. Moreover the increasing number of smartphone users around the world. They might be surfing internet once a day at least. I myself absolutely using the internet connection for updating my blog and surfing my social media accounts. 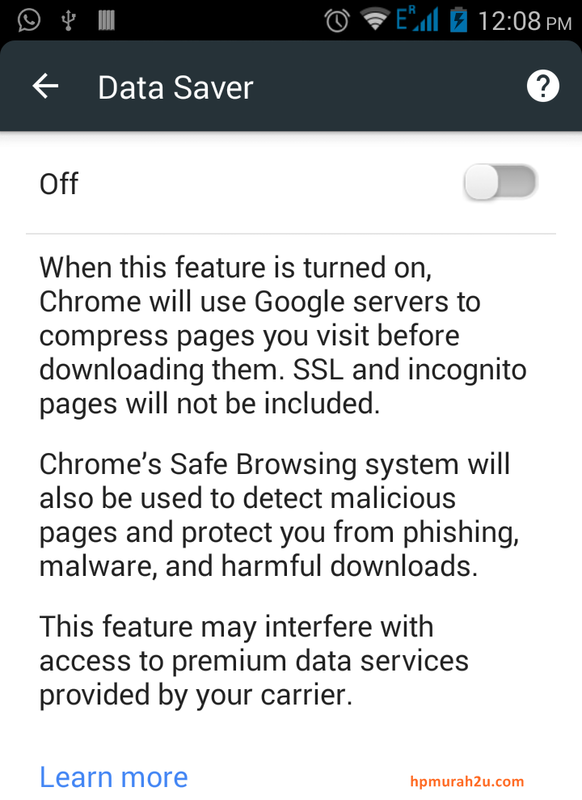 So, i am wondering how to save my mobile internet data? Do i need to subscribe more internet data package for my smartphone? Even though i always subscribed for 500MB internet data quota per month, it was not enough and not even satisfied with internet data connection. I do not want to reveal what the company provider is, but i want to share if it is possible that we can save our mobile internet data. Could you imagine how much your mobile internet data reduced per day? Perhaps some of the people did not want to know what their current remaining mobile data quota. It is okay if they have been subscribed for premium package mobile data connection, what if you subscribed for the cheapest package. For instance 500MB mobile internet data quota per month. What are the steps to be taken to save your mobile internet data? So, today i will tell you about my steps to save my internet data quota. First of all, before you are planning to subscribe any mobile internet data packages, have you thought it over what will you do when you have internet connection. If you intend to browse or log in your media social accounts like Facebook, Twitter or Instagram for some time in a day, i suggest you to subscribe for mid-package mobile internet data only. If you intend to let your mobile internet data online for 24 hours. please do subscribe the higher package. To me, i was subscribed for 500MB mobile internet data quota per month, With a minimum data package, i really need to save my connection data quota per day. I will use my mobile data for some time per day, especially used for checking WhatsApp messages and so on. If i want to browse any my social media accounts, i will make sure that i have been log out from my account. It is same goes to my Instagram account, logging out is very important to save your mobile internet data. These apps will keep running if you let them logging in and your internet quota will reduced slowly. So, please make sure you log out when finished. Other than that, please make sure that your online games are exit or stopped. I will keep cleaning my running apps. So, you will save your mobile data. 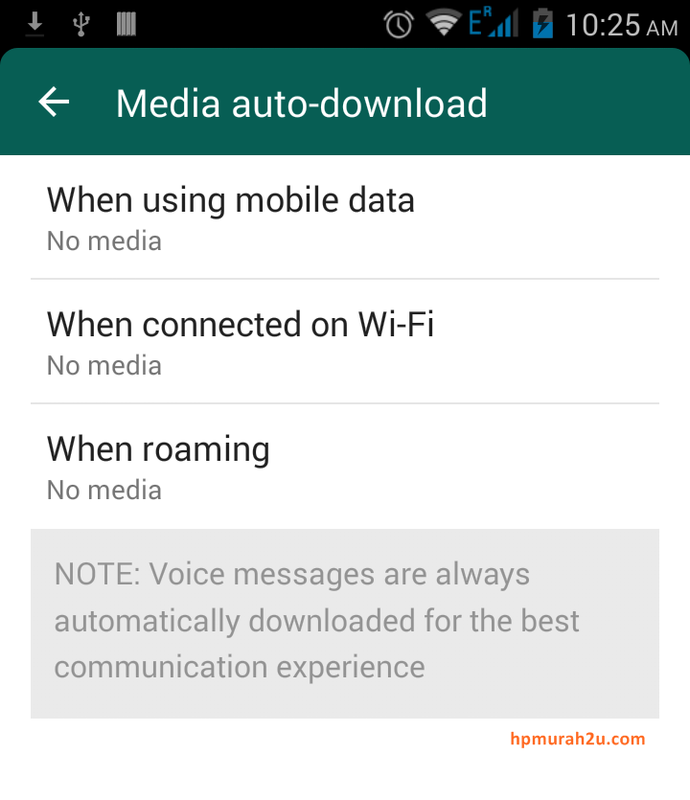 Talking about WhatsApp, it is really important and to keep them mobile internet data friendly, please set your media auto-download into "No Media". It is important to set as no media to avoid auto downloaded especially pictures from many groups you have joined. It is all depends on you, if you are able to subscribe the maximum mobile internet data package, just go ahead. These my steps to save my internet quota. The best step to save your data is using free Wi-Fi connection. If you had a chance to use free Wi-Fi, make sure you download any important games or apps. 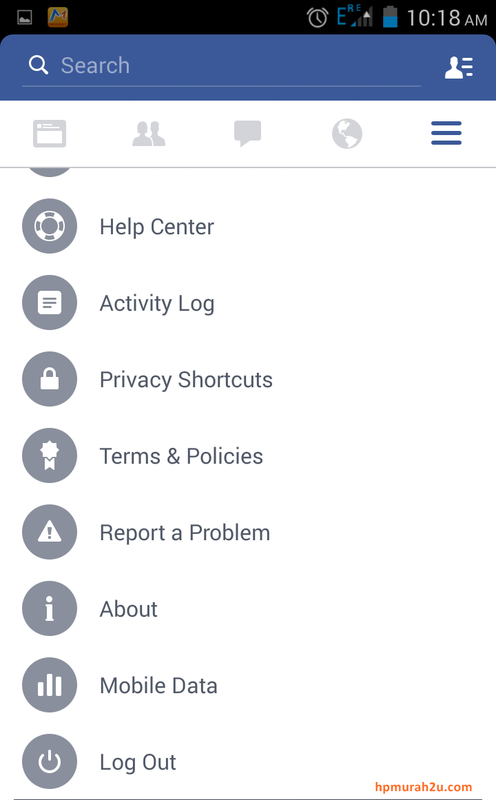 Besides, you can connect to free Wi-Fi for updating your installed apps. The more you save, the more remaining mobile internet quota you will have. 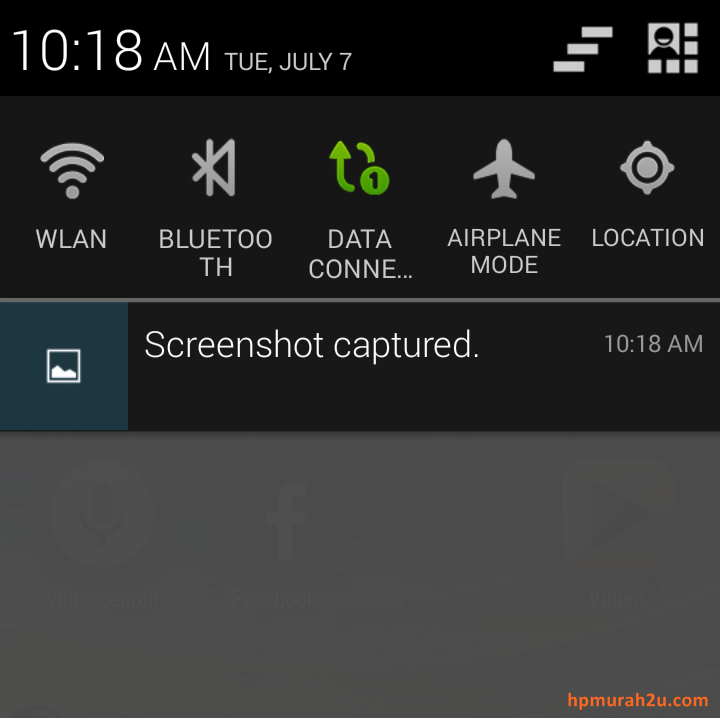 1 Comments for "How to Save Mobile Internet Data"
Thank you for sharing this useful post. It is often a problem with mobile internet data that it ends up quickly. Your tips will be quite helpful.